01971: Some letter writing to mom and my brothers relieves some of my horn-playing stress. 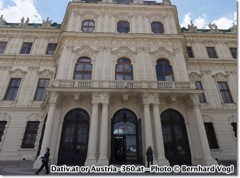 2007: I discover two new websites, one Austrian, www.austria-360.at, and the other www.panoramas.dk, that display absolutely gorgeous 360-degree panoramic pictures from around Austria and the world. Absolutely gorgeous and a lot of fun. 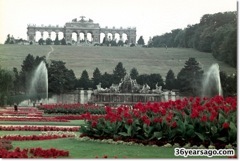 The picture at the left is from panoramas.dk and is of the Vienna National Library (© Peter Winkler). It is stunning in 360. Letter writing, Belvedere Palace, dinner with Anjali’s mom, and some discourse on living in the “analog” world. Link to a wonderful 360-degree panorama by photographer Bernhard Vogl.